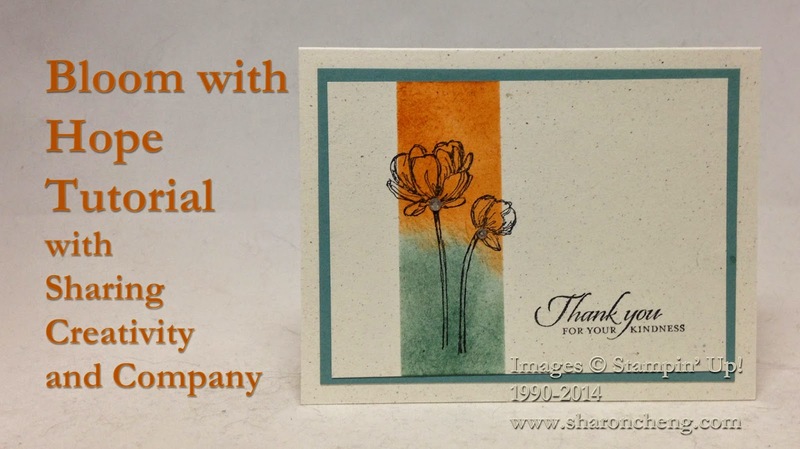 This quick and easy card works well with Stampin' Up! 's Bloom with Hope hostess stamp set. You can sponge any combination of colors and mat with one of the colors. 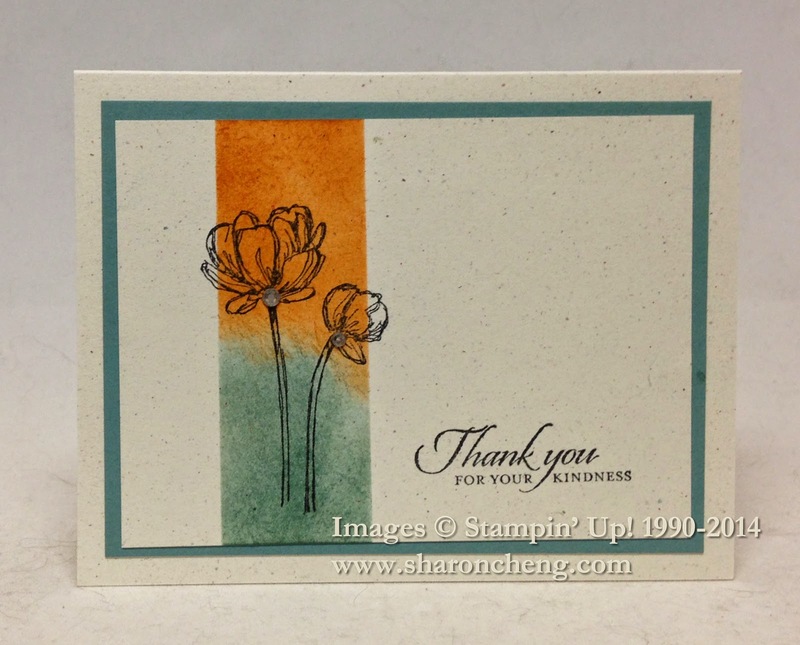 For this card, I used two of Stampin' Up! 's newest In Colors, Tangelo Twist and Lost Lagoon. Here is the tutorial showing how I sponged on the color and used that handy crafting tool, Post-It Notes! Here is a tutorial showing how to add the rhinestone bling and custom color if desired. Enjoy making this quick and easy card!